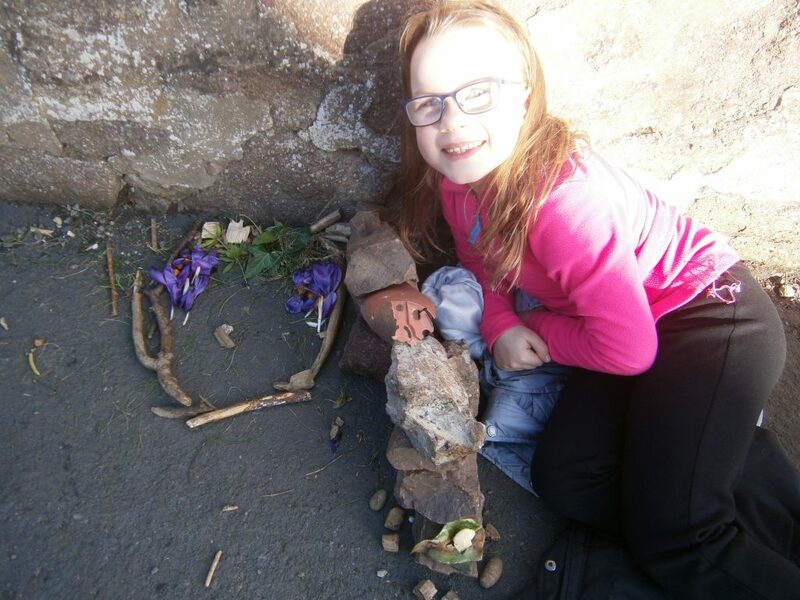 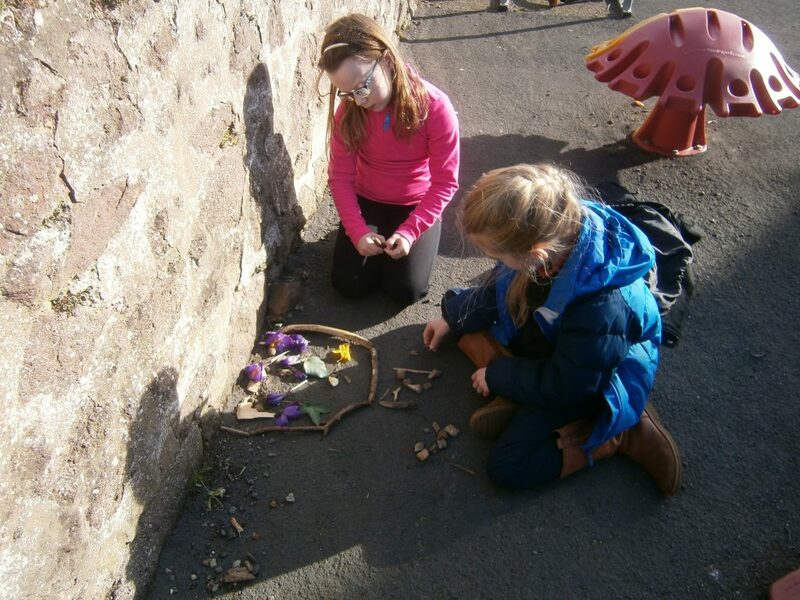 P3 took their learning outdoors this afternoon, what a gorgeous day to be outside. 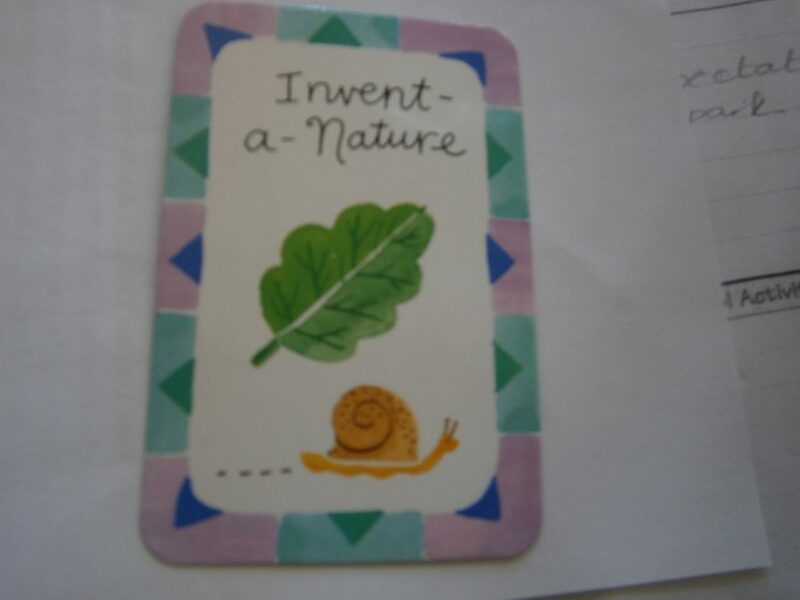 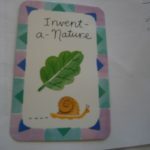 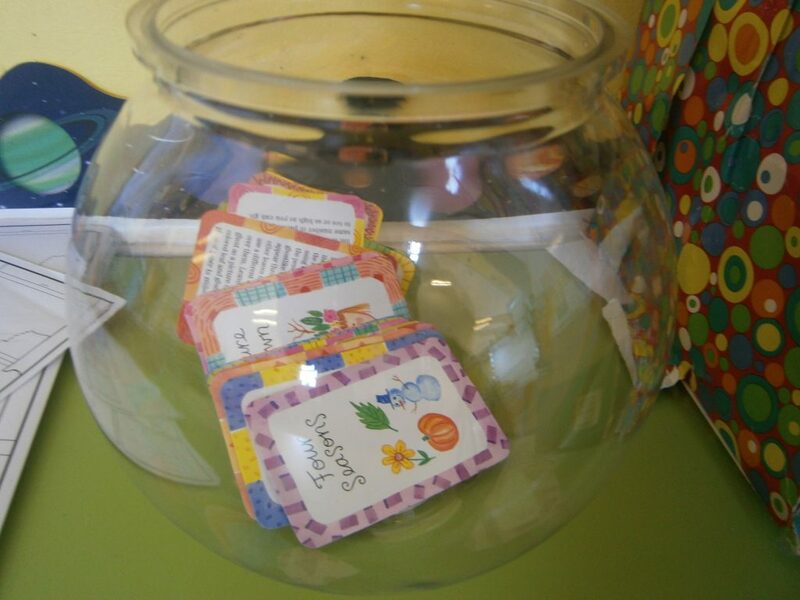 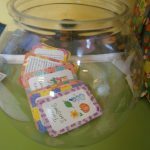 Phoenix picked a card from our outdoor learning bowl, our activity today was called invent-a-nature. 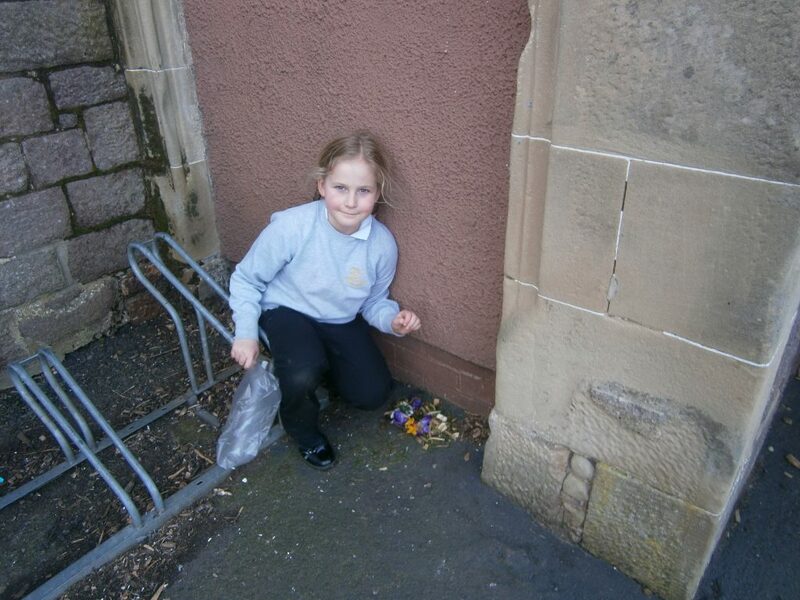 We had to pick up different pieces of nature and think about what other ways they could be used. 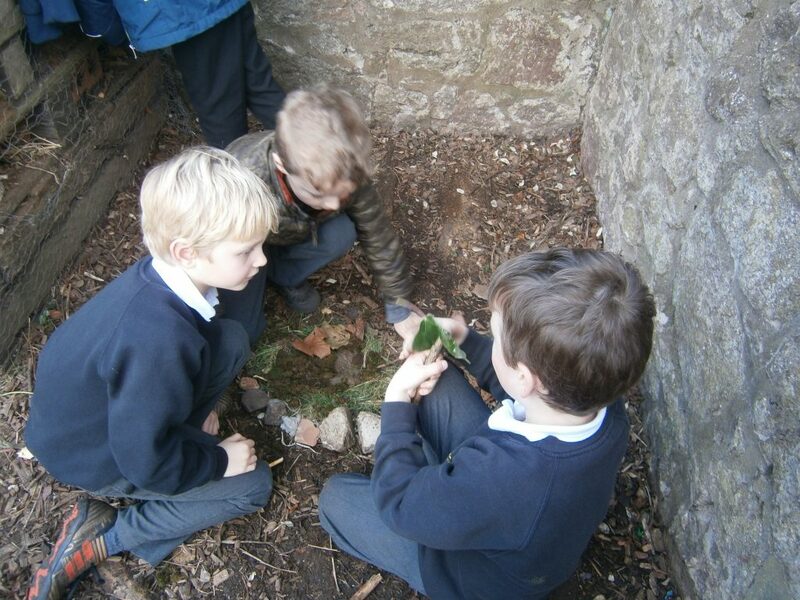 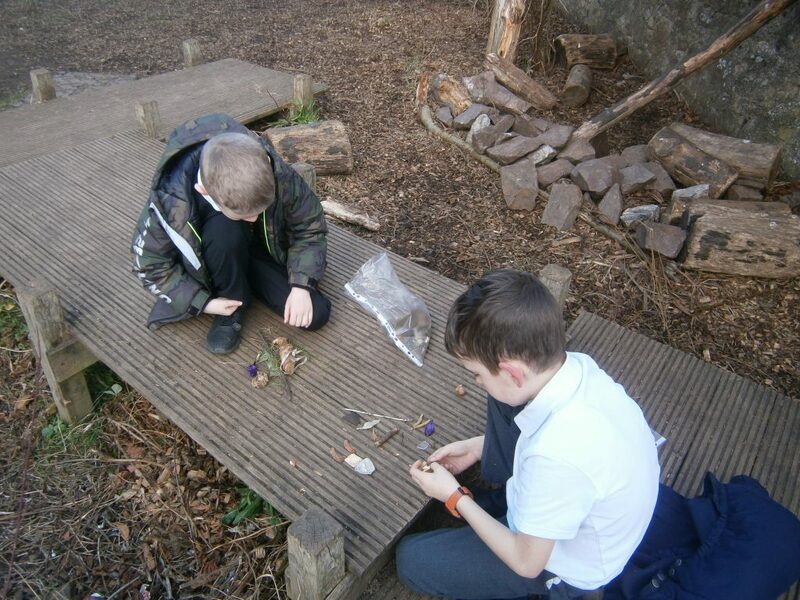 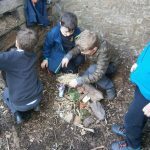 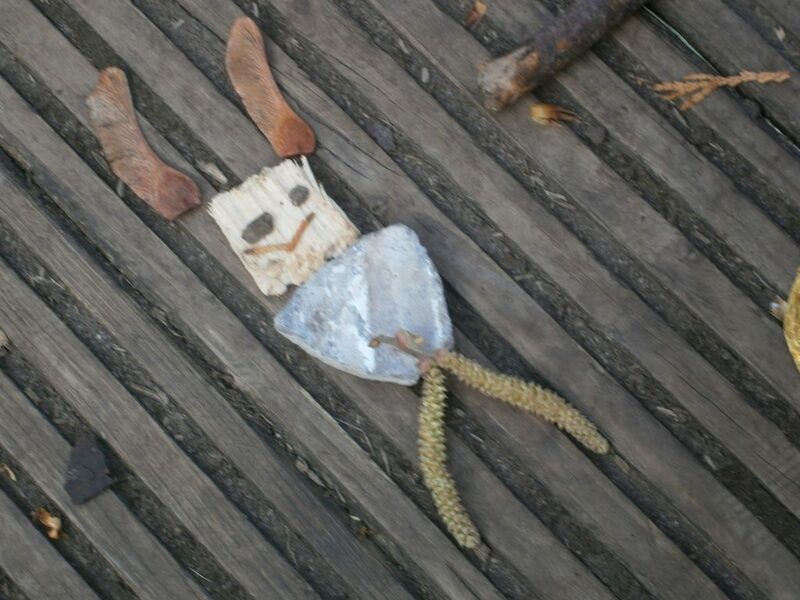 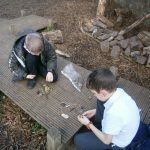 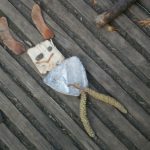 We worked in pairs and groups and collected lots of interesting natural materials. 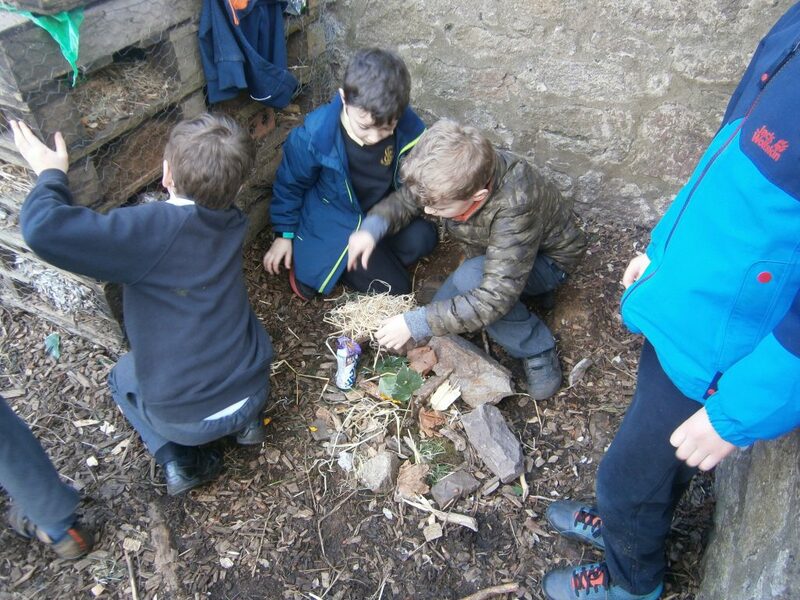 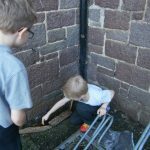 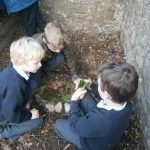 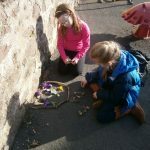 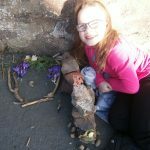 We then got to inventing, we had lots of different constructions going on, including a step ladder for the birds so they could enter a safe area away from any predators, a fairy house and a top notch 5 star bug hotel. 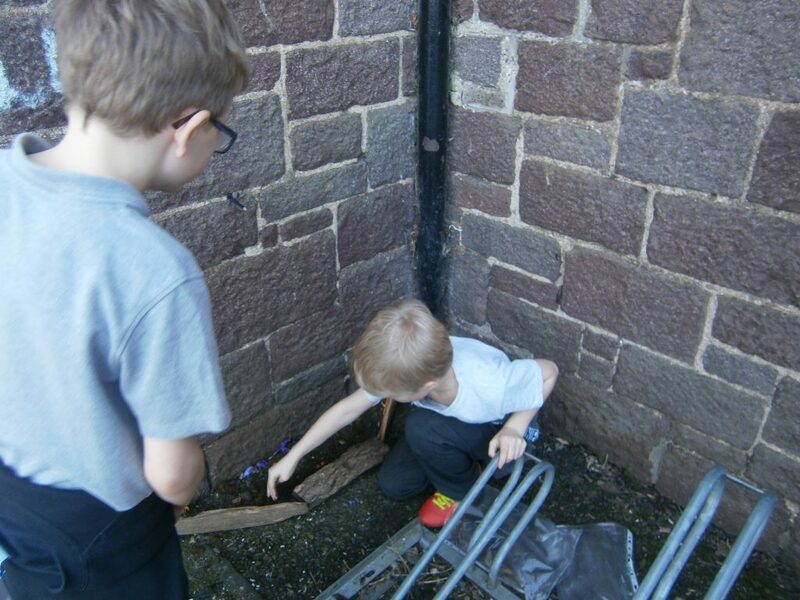 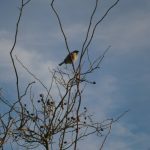 We also seen some sparrows who were very busy in the bird boxes just outside our classroom, we think they may have chicks so we shall be keeping a close eye on them. 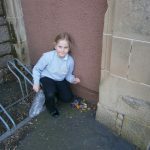 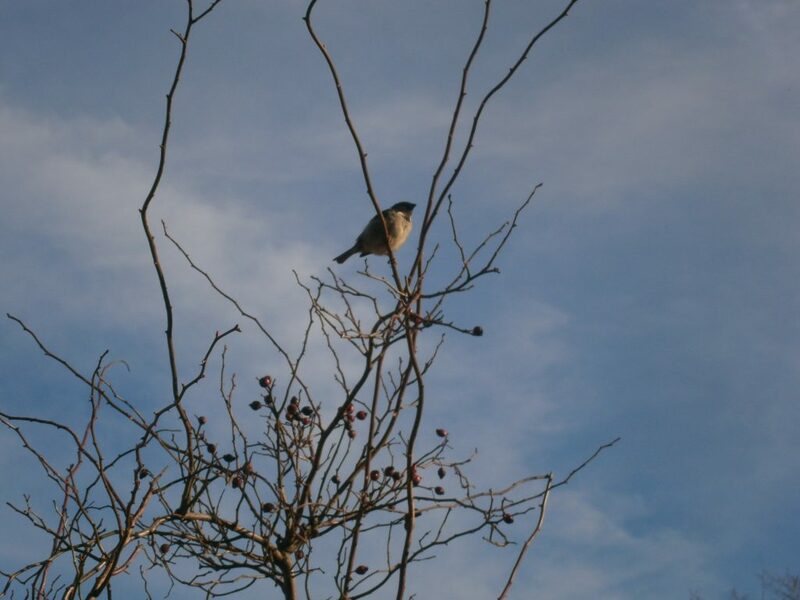 Previous PostP3 just love bird watchingNext PostPlastic Bottle Support!